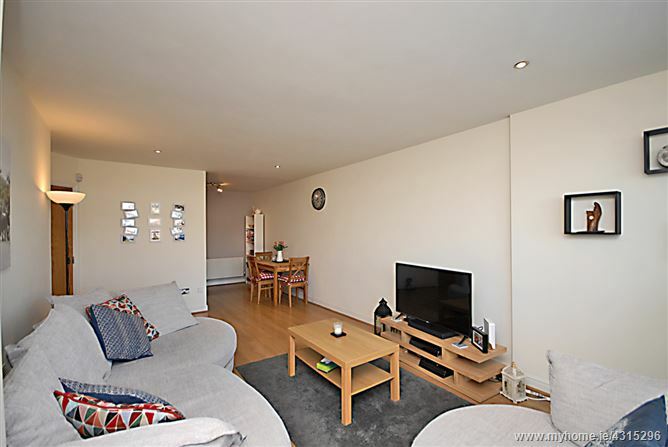 A light filled two bedroom ground floor apartment, with generously proportioned rooms, well maintained and tastefully decorated. 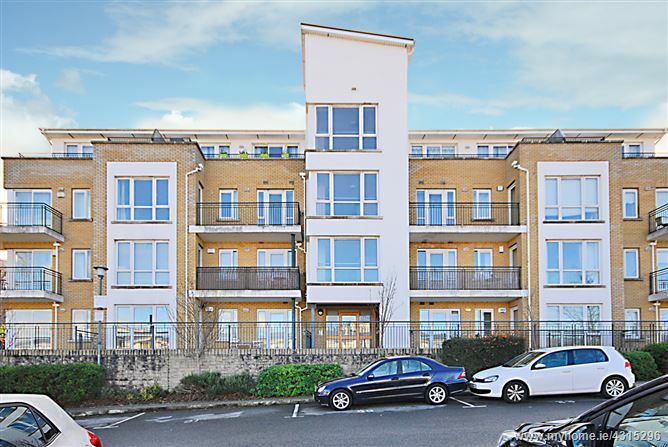 Baxter Real Estate are delighted to present this exceptionally bright, ground floor two bedroom apartment with a large terrace and designated parking. 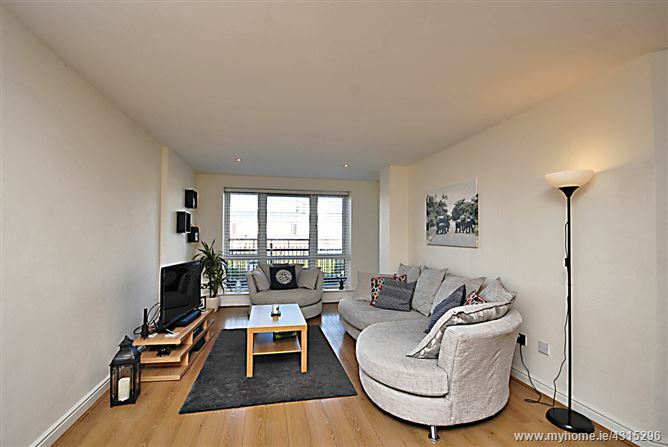 The accommodation is excellently proportioned and includes a light filled open plan living/dining room with a laminate floor, recessed lighting and faces on to a large terrace, adjacent to the dining area is a good sized kitchen with quality wall and floor units and a tiled floor. 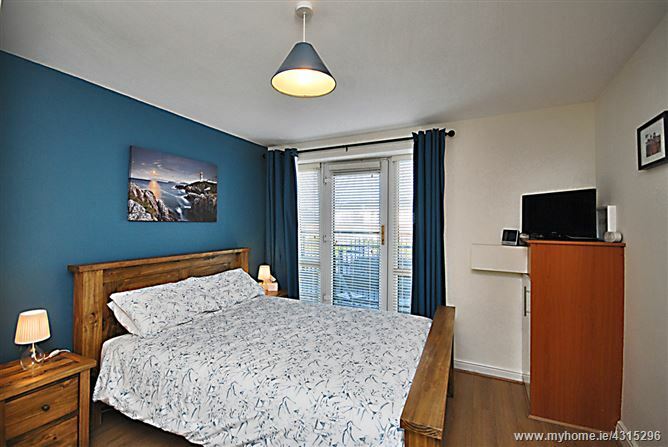 There is are two double bedrooms with built in wardrobes and a laminate floor, the entrance hall has a laminate floor, recessed lighting, a hot press and a store/cloak room. 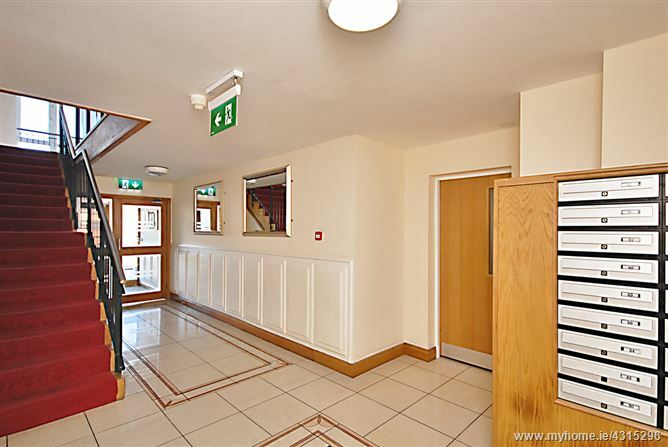 The property is located in a beautiful setting, overlooking the city and within easy reach of all the amenities required for modern day living including a good bus service as well as a shuttle bus service to the Luas at Sandyford and Blackrock DART station. 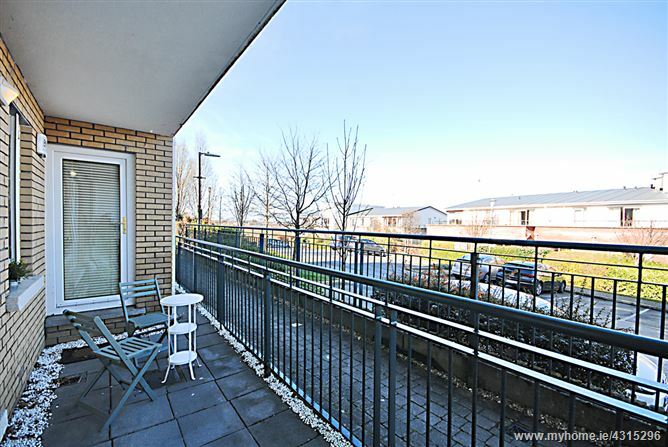 The development is approached down a long sweeping avenue with large landscaped open spaces with the Dublin Mountains as a backdrop and expansive views over Dublin City. 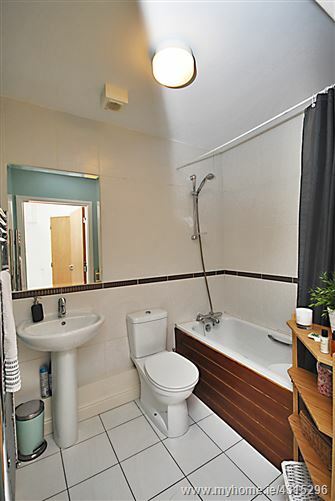 It is located close to local shops at Blackglen Shopping Centre which includes a supermarket, chemist, take away etc. 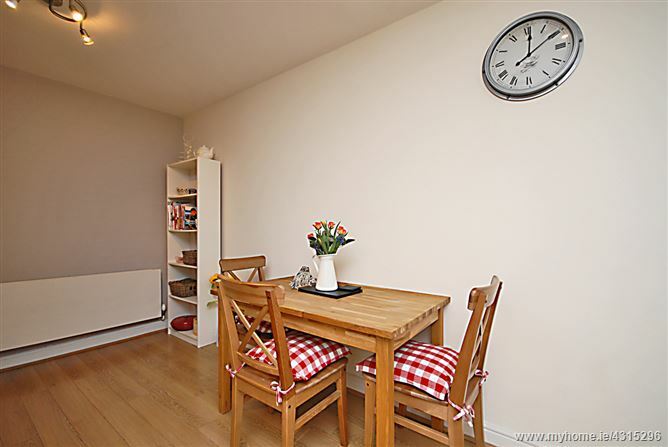 There are good transport links with a bus service as well as a shuttle bus service to the LUAS at Sandyford and Blackrock DART station, easy access to Dundrum Town Centre and to the M50 and national road network. 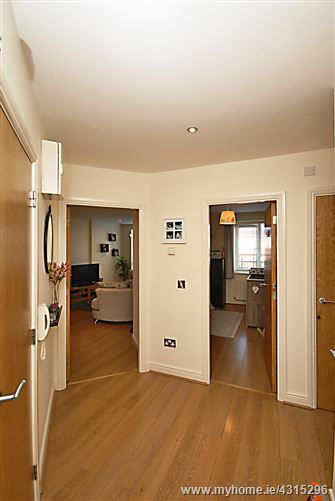 Entrance hall with laminated timber flooring, store/cloak room, chrome, sockets and fittings, alarm panel and thermostatically controled radiator. 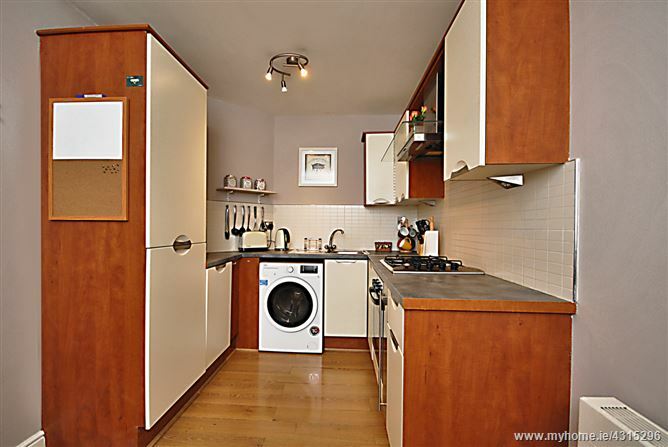 Located just off the lounge with a selection of wall and floor units and complimented by high quality appliances and tiled floor this is the perfect kitchen to prepare a meal for any family gathering. 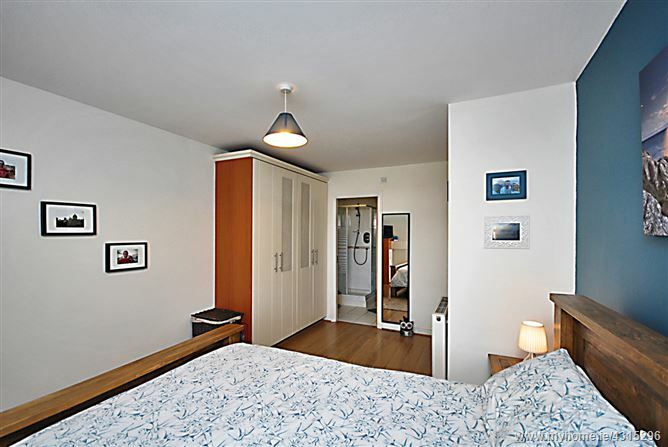 A bright and spacious room with laminated timber flooring, built in wardrobes, shower room ensuite and door to sunny patio area. 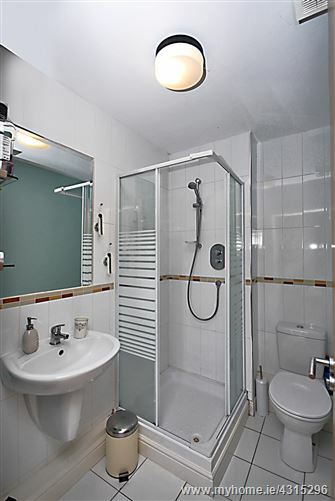 White suite with tiled floor, partly tiled walls and chrome fixtures. Currently set out as a childs nursery this room looks out onto the patio and boasts laminated timber flooring and built in wardrobes.